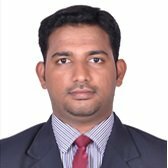 Shakir Jahir John is a Microsoft SharePoint Certified Architect with over a decade experience working in the Legal Systems, Insurance, Telecom and Travel industry verticals. He has successfully completed a number of enterprise projects involving Microsoft Business solutions on Microsoft SharePoint 2010/2013 platform. He is extremely passionate about mobile apps and specializes in both B2B and B2C mobile application development, especially Windows 8 Apps.